Goblins were first introduced as a playable race in Cataclysm alongside the worgen of the Alliance. And while the worgen, and Gilneas, have a rich history that goes all the way back to Strom and the founding of the first seven human kingdoms, goblins don’t really have that kind of background. In fact, even though the goblins have been around as a race dating all the way back to the RTS games, they’ve never really been more than sidekicks at best, supporting characters and comic relief. But that doesn’t mean that choosing to play a goblin automatically shuffles you off to that sidekick role. With the introduction of the Bilgewater Cartel, suddenly the goblins had plenty more history to look at — and the events of the starting experience give roleplayers a perfect springboard for creative storytelling, if players want a relatively easy background to start with. And for those who like the idea of stretching their creative muscles, playing with the gigantic tapestry of goblin cartels and goblin appearances over the years presents endless possibilities. We have absolutely no record anywhere of any age ranges or expected life span for goblins, not even in the RPG guides. However, we’ve never really seen a goblin that could be considered very, very old, nor have we seen one die of anything other than explosive accidents, siding with the wrong side of a conflict, or simply sticking his nose where it didn’t belong. So we can go a few different routes with this information. First, goblin lives are short and explosive. Second, maybe goblins pretty much share the same life span as humans or similar races, making them pretty easy to place. Third, and far more “out there” from a character development perspective — they’re so incredibly long lived that we just don’t know what an aged goblin actually looks like. We’ve never seen an old goblin, because none of them have lived long enough to be considered old, yet. I’d recommend going with one of the first two, simply because it’s a little more likely to go over with whoever you’re roleplaying with. But you can always extend a goblin’s life span and explain it away with either magic or technology, if you feel the need to play a goblin that’s been around for far longer than his appearance might suggest. As for maturity, you can safely get away with saying 16-18 and get away with it. Age doesn’t matter quite so much with goblin characters, anyway. Why? Because there’s a giant blank space right where your goblin’s past comes into play, and you can fill it with pretty much anything you’d like. 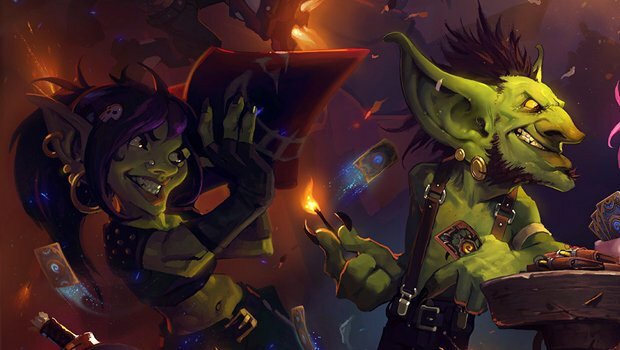 Goblins have only recently allied themselves with the Horde, and that’s just one cartel — there’s no real major stories out there about goblins, because up until Cataclysm, they were largely supporting players. And supporting players don’t exactly get a ton of in-depth backstory, they’re just sort of … present. Which means you’ve got a wide open space to work with as far as your character’s history is concerned, and age is almost irrelevant. Goblin history is a little tangled between the RTS games, which are canon, the RPG guides, which are no longer canon, and what we can glean from World of Warcraft. 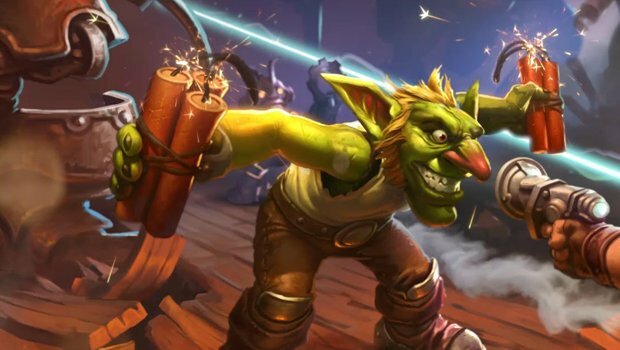 Here’s what we know right off the bat with a playable goblin character — they’re from the Bilgewater Cartel, they lived on the island of Kezan. Unfortunately, that island had a massive volcano set off with Deathwing’s arrival in the expansion, and the goblins were forced to flee. Whether or not Kezan still even exists is up in the air — it’s either buried under a ton of lava, or perfectly fine, recovering, and waiting for someone to eventually come back and find it. As for the player character, they were gunning for a promotion within the Bilgewater Cartel, but found themselves halted at every turn by Trade Prince Jastor Gallywix. When the volcano went off, Gallywix owned the only boat that could take people off the island, and traded standing room for life’s savings. And once the boat sailed off, Gallywix decided selling everyone into slavery was an even better idea. Events play out on the Lost Isles, but the upshot is that at the end of it all, Gallywix is still the standing leader of the Bilgewater Cartel, and he’s sworn to serve the Horde, along with everyone else. But after that is where it gets really interesting. 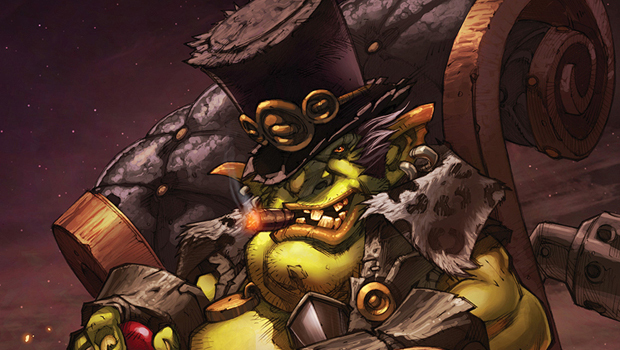 Goblins play an interesting role within the Horde, having joined while Garrosh Hellscream was serving as Warchief. They are, as far as he is concerned, useful allies when it comes to building explosives and weapons of destruction. Beyond that, they serve no real purpose to him, and he made that very clear when he moved in on the Vale of Eternal Blossoms and took the Heart of Y’Shaarj in Mists. Goblins were an expendable asset at best, creatures that were readily used and thrown away. And the goblins were perfectly fine with turning on Garrosh Hellscream when it turned out he was fine with the idea of cheating them out of the gold they’d rightfully earned. It was all business. But just because your goblin happens to be a member of the Horde, it doesn’t necessarily mean that they have to have originated from Kezan, nor does it mean they must be a member of the Bilgewater Cartel. Goblins are all over Azeroth, from a multitude of different cartels — and there’s no really definitive number for how many cartels actually exist. 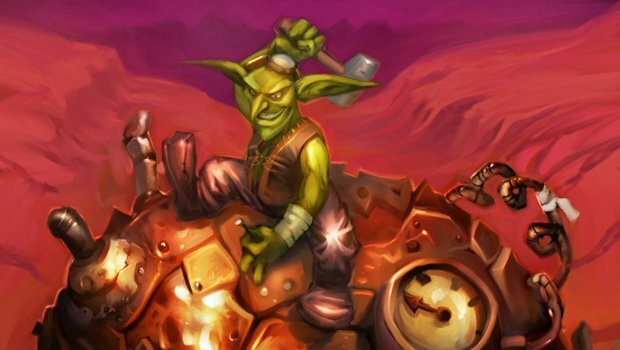 Sure, there are two major ones — Steamwheedle and Bilgewater — but that certainly doesn’t mean that an enterprising goblin couldn’t go out and try to form up a cartel of their own. Especially not given the Bilgewater Cartel’s history with its leader, Trade Prince Jastor Gallywix, who pretty much threatened to sell everyone out as slaves during Cataclysm. If you wanted to create a goblin character who either grew up as a member of a very small, not very well known cartel, or a character that defected from Bilgewater, there’s nothing stopping you. According to the Warcraft RPG books, there are currently five known Trade Princes on Azeroth. This is, of course, material that is no longer considered canon, so you can either use that information and work with it, or devise your own version of history. Perhaps some of the other Trade Princes have passed on in the wake of Cataclysm, or perhaps a new generation of hotheads have popped up and proclaimed themselves Trade Princes, whether that title is “official” or not. It’s all up in the air, but there’s one thing all goblins typically seem to have in common: A deep and profound love for the almighty gold coin. Goblins are incredibly smart, schemers, full of ideas to make the world a better place — usually for themselves. It’s rare that you’ll find a goblin who is wholly altruistic, who performs good deeds and asks for nothing at all in return. This might sound like a negative trait, but it doesn’t have to be. Maybe they use the profits they make to better the world around them — probably in their image, but hey it’s better than nothing at all, right? Maybe they’re fed up with the idea of Gallywix or another Trade Prince running the show, and want to see something better for their people, so they’re building their prestige and reputation to make that takeover eventually happen. Or maybe they just want to help their friends — and the best way to do that, as far as they’re concerned, is to have the kind of deep pockets that’ll give them everything they could ever desire. Typically, goblin characters in Warcraft aren’t really played up as serious characters, but there’s no reason you can’t do so. A goblin may be a little greedy, they might be a little conniving, but underneath it all there’s nothing saying they don’t have a heart of gold.